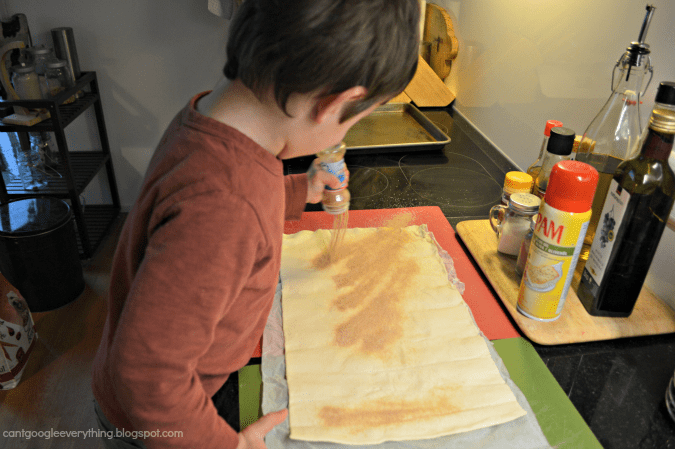 This week for Mini Chef Mondays we tried another yummy dessert recipe! My friend Fran, who introduced us to the Swiss Plum Pie recipe I shared in November, told me about this very easy dessert recipe called Preussens. 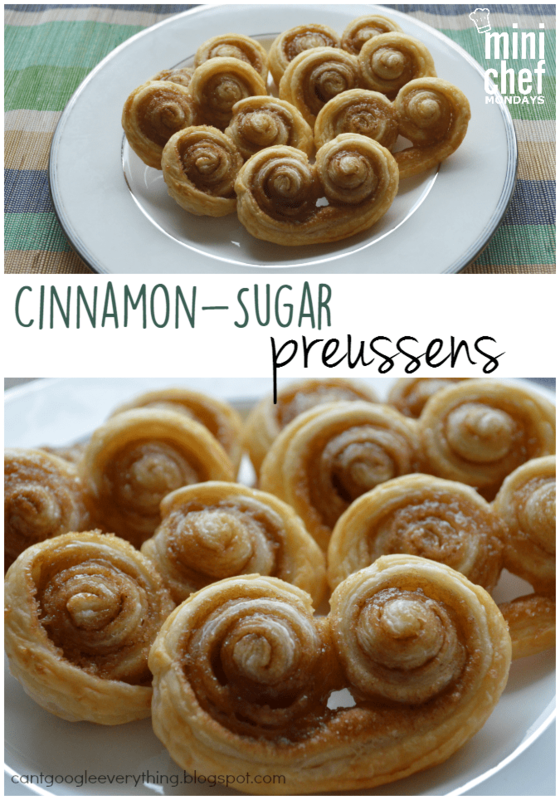 A little bit cookie and a little bit pastry, Preussens are easy to make and very kid friendly! 1. Preheat the oven to 220 Celsius (approx. 425F). 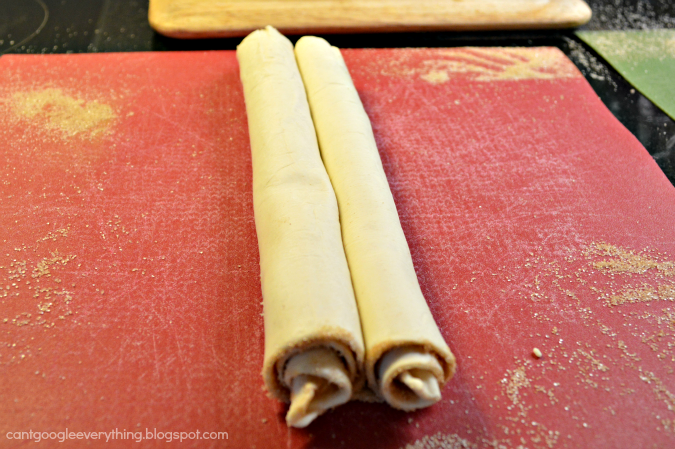 Roll the puff pastry dough out on a flat, clean surface. 2. Sprinkle cinnamon and sugar mixture all over. I put it in an old sprinkle container so my son could shake it all over the pastry. Use your (clean!) hands to spread the mixture around. 3. 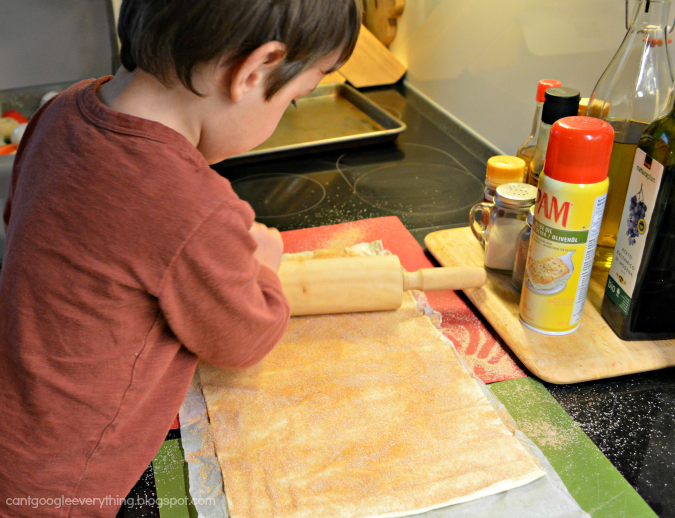 Use a rolling pin to press the cinnamon-sugar into the dough. 5. Slice the dough into thin-ish slices (about 1/4 inch or so) to make the cookies. Slightly thicker or thinner is okay, it’d not an exact science. 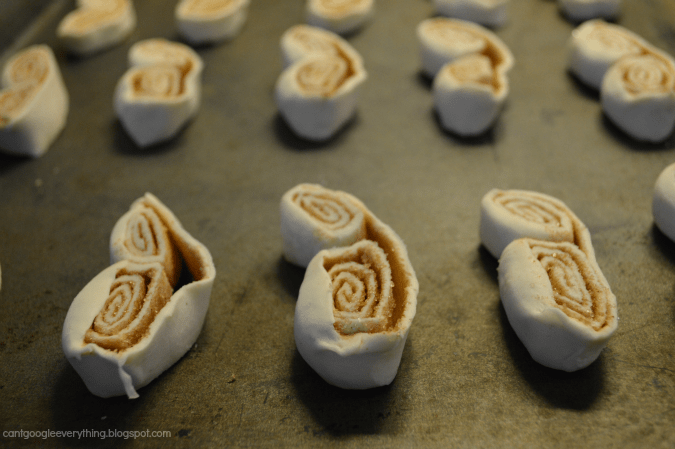 Place on a cookie sheet and bake for 10 minutes. 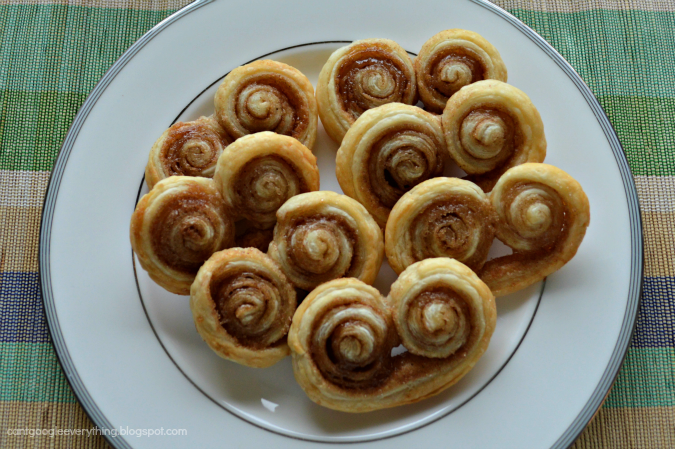 They come out nice and crispy and sugary! Enjoy! 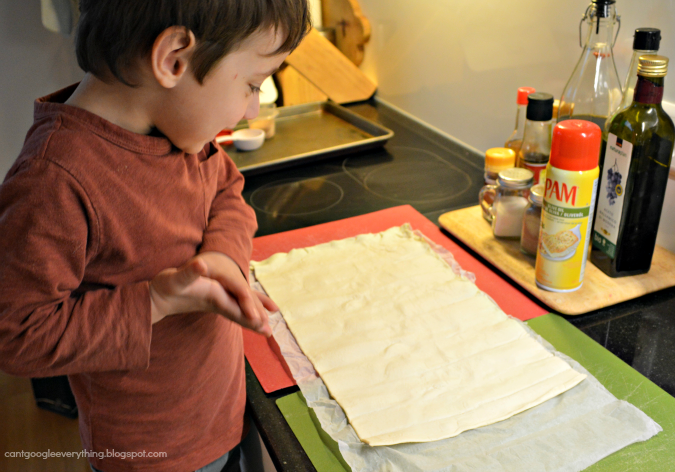 These are gorgeous and perfect for the kids to help make!